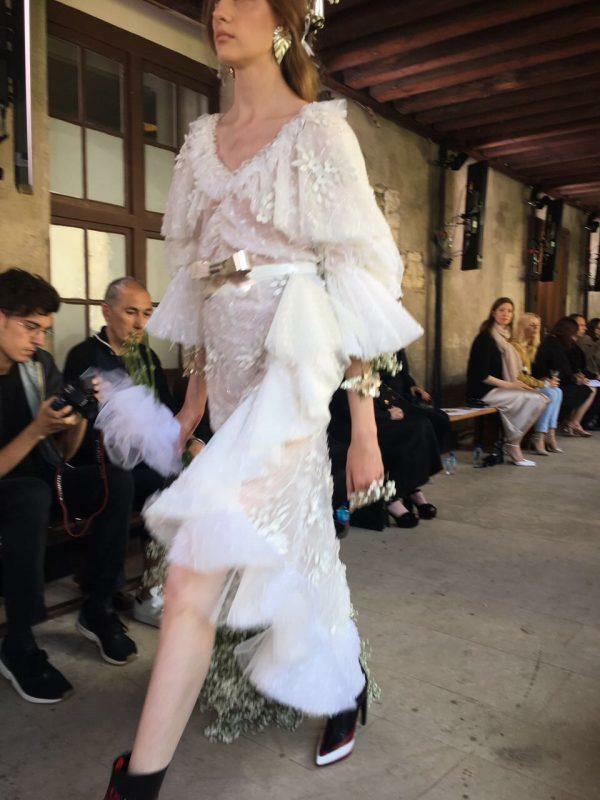 My day started in Paris with a beautiful summer feeling show, Rodarte. The show took place in the Cloître de Porte-Royal, an abbey from the year 1626. We were seated under the stoned vaults of the cloister surrounding a beautiful garden covered with flowers. Although the morning was grey and cold, the sun came out just before the show began. While we waited for the models to come out, the only music was the birds in the garden. The sun came out, the birds were singing, and people started to take their seats. I said hello to Carine Roitfeld and her friends and beside me was a French It girl Dolores Doll—we were chatting about the fashion week events, waiting for the show to begin. The models stood in the garden for the finale of the show and we all walked to the center to take pictures. I said hello to my good Argentine friend Chufy [Sofia Sanchez de Betak], who was wearing a beautiful yellow dress. 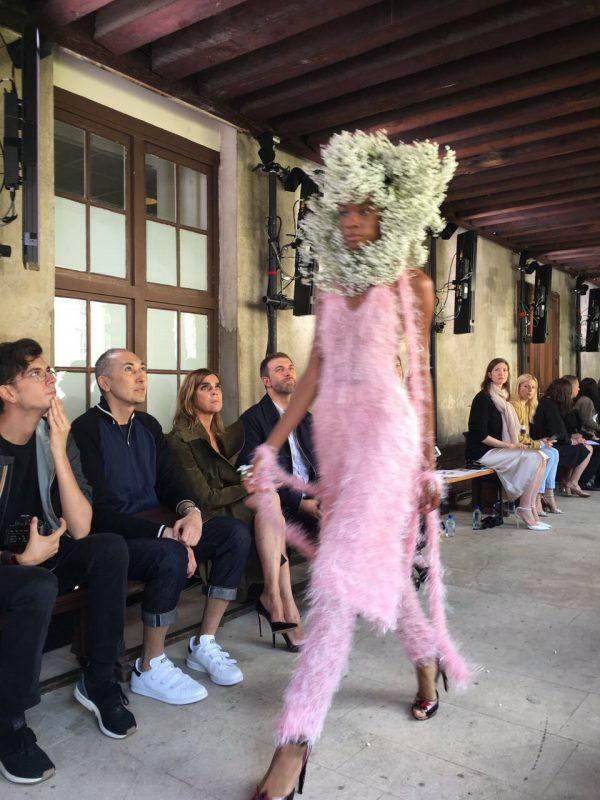 The show was very feminine. They used flowers to accessorize the hair as well as ribbons. It was every girl’s dream. Right after the show I went to the opening of the Chloé- Guy Bourdin exhibition. The exhibition was on three floors of the Chloé house. We could see the best dresses of the house of different years and the pictures of Guy Bourdin with the Chloé looks. My favorite exposed dress was a white taffetas with velvet ribbons and lace designed by Karl Lagerfeld in the automn – winter collection of 1977. I also loved the shot of that dress in a Vogue Paris of that same year by Guy Bourdin. The Guy Bourdin pictures of the Chloé era were inspiring, glamorous, and powerful. At 7.30 p.m. the Azzaro show started at the Centorial building. In the entrance I saw my good friend Julia von Boehm, we sat together front row and chatted while waiting for the show to begin. It was quite moving, as I used to work at the Azzaro house for almost three years when Vanessa Seward was the head designer. 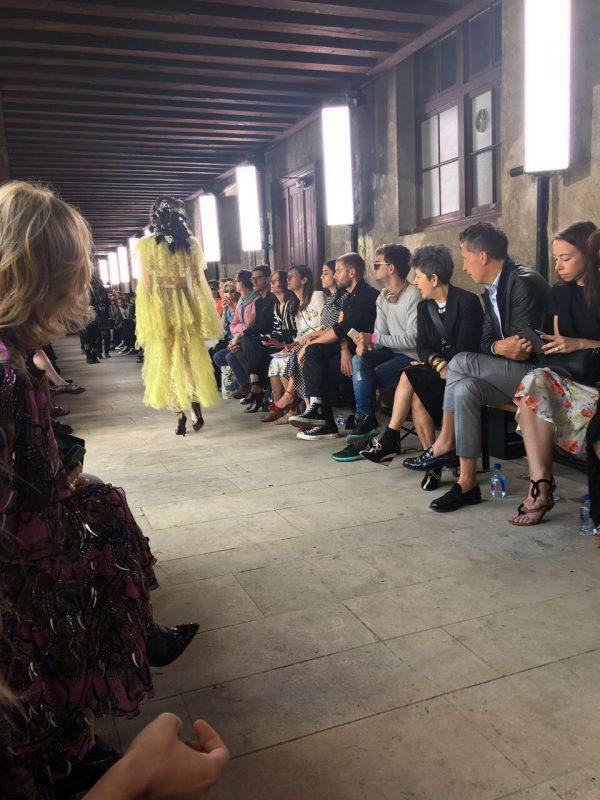 I was excited to see the collection now with Maxime Simoëns, the new artistic director. It was really nice to see the ladies from the boutique and the people of the atelier, who were sitting and waiting for the show to begin. They have been there for a lifetime and I have known them since the time I was there. They are like family to me. The decor behind the runway was made out of mirrors, like the showroom in the rue Faubourg St. Honoré, which has been like that since the 1970s. My favorite looks were the long satin dresses in green and dark red with a more classic ’70s inspiration. 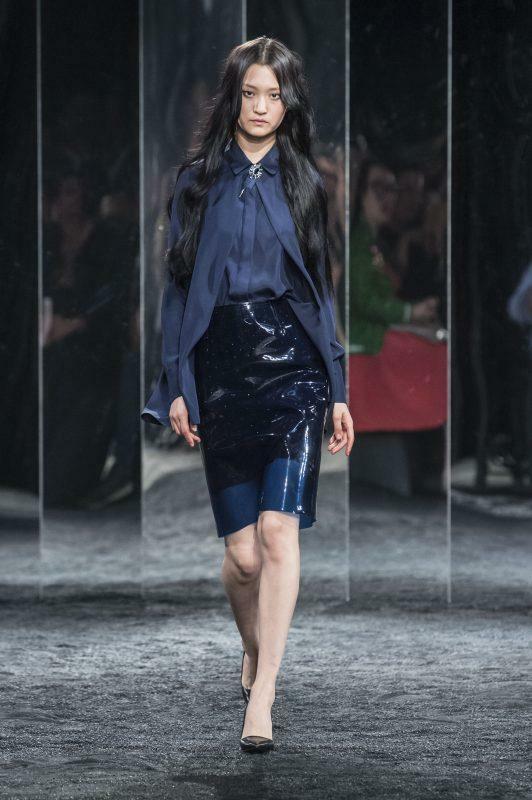 Some of the looks had a modern feeling like the transparent plastic coats and the vinyl black or blue knee-length skirts. The show felt strong and glamorous.